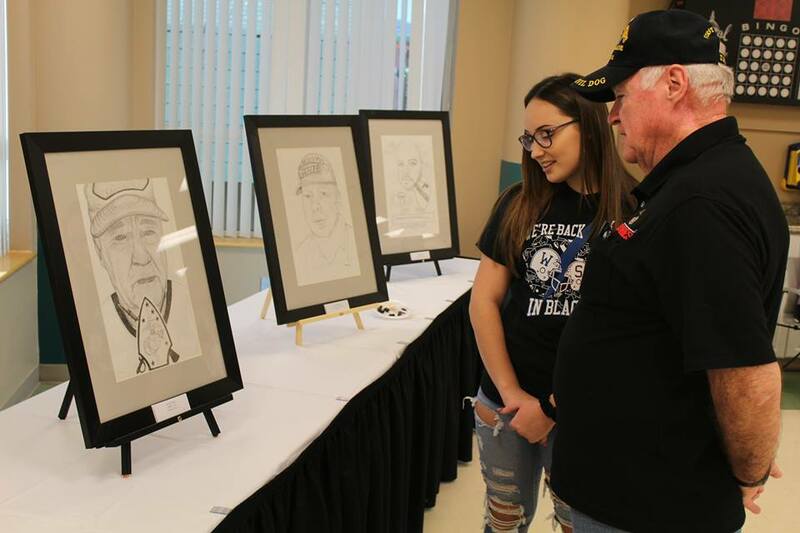 West Scranton students created approximately 20 portraits of residents of the Geno Merli Veterans Center to honor those who have served our country. The portraits made reflect the unique history and the proud traditions of the school. The culture of West Scranton High School is centered on honoring military veterans. Since their first sports teams competed in the 1940s, they took a team name — Invaders — from the Allied Invasion of Normandy, we continue to communicate our respect and admiration for service members through our actions and out art.